On February 6th 2013 Charlie set off from La Gomera in the Canaries, bound for Barbados in a 6.5m rowing boat. On March 13th, 35 Days and 33 minutes later, he arrived fatigued and broken. A new World Record had been set, taking a massive five days off the previous record. Mirroring the DNA of all Bremont watches, Charlie certainly has been Tested Beyond Endurance. "I believe that the trans Atlantic row is the biggest physical and mental challenge I will ever put myself through." Charlie first rowed the Atlantic in 2010 inspired by his background in international yacht racing. He has also competed in the Marathos Des Sables in 2009 and also undertook a 350 km non-stop run across Scotland in 2011. To date he has raised almost £300,000 for charity. He believed that the trans Atlantic row was the biggest physical and mental challenge he would ever put himself through, but with the right preparation as well as sheer determination, anything is possible, and with the race against the clock, who better to have as official timekeeper than Bremont. ‘P’ stands for Pilot as this is a model designed with aviators in mind who demand both accuracy and clarity. 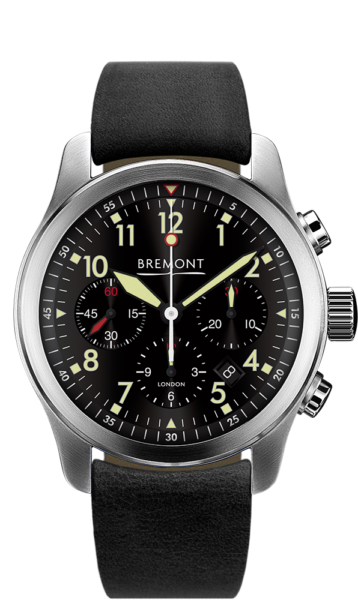 Bremont always aimed to create classically understated watches which would never date and the ALT1-P has exemplified this being synonymous with the core Bremont values.